We’re guessing you probably don’t think much about your concrete sidewalk. You probably use it while you’re out jogging or walking the dog. Your kids love racing by on bikes and scooters. It’s there when you need it, which is all you can really ask of a sidewalk. That is, until it gets damaged. That’s where Mr. Pavement comes in. 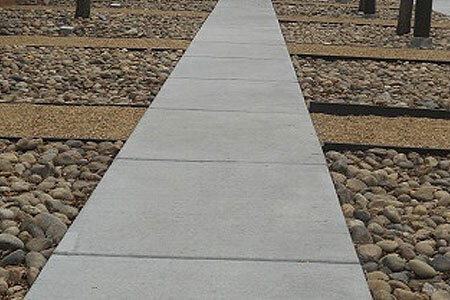 Our concrete paving company has spent over ten years serving the greater Philadelphia area and has become one of the leading paving companies in the area. Our trusted professionals have the skills and knowledge needed to get the job done right. Is your sidewalk a little worse for the wear? Cracks, chips, and uneven surfaces can be more than just unsightly, they can also be dangerous. Neighbors or customers are walking on your sidewalk every day and a faulty sidewalk could be a trip hazard. Did you know, in Pennsylvania, most home and business owners are responsible for maintaining the sidewalk on their property? Mr. Pavement can repair your sidewalk quickly and affordably. Concrete damage can sometimes become extensive. Perhaps the concrete has crumbled over time. 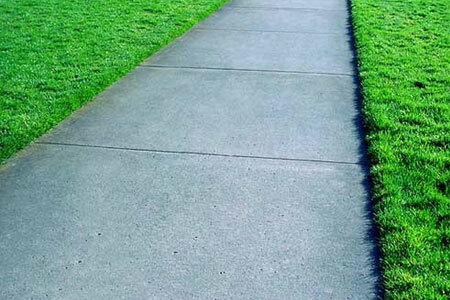 Or, accidents can cause severe damage which requires your sidewalk be replaced completely. While we will always try to repair first, if there is structural damage it’s important that we replace your concrete sidewalk. The professionals at Mr. pavement can also install a new concrete sidewalk for your home or business where one did not exist before. Expand the walkway in front of your house or create additional walking paths for your future customers, the possibilities are endless. Does a concrete sidewalk need to be repaired, replaced, or installed at your home or business in the greater Philadelphia area? Give us a call today at 1-888-PAVEMENT or request a free estimate online so we can help.